A nominee for Best Foreign Language Film, "Leviathan," tracks the unfortunate circumstances that befall Kolya (Aleksey Serebryakov), a man living a modest life in a small seaside town in northern Russia, after he chooses to defend his home from being taken by the corrupt mayor who wants ownership of the land for a development deal. To help make his case, Kolya hires an old lawyer friend (Vladimir Vdovichenkov) from Moscow to live with him temporarily, along with Kolya's teenage son Roman (Sergey Pokhodaev) and much younger second wife, Lilya (Elena Lyadova). Dmitriy's presence leads to a separate set of problems, significantly more domestic in nature. The events that follow arise from the corruption of power, the hypocrisy of the Orthodox church, and the ugliness of humanity that swirl about as a result of Kolya having kicked the hornet's nest that is his indifferent and often outright hostile government. "Leviathan" explores what happens when an ordinary man goes up against a rigged and broken system (the film has sparked controversy in its home country over whether or not it undermines Prime Minister Vladimir Putin). The harshly beautiful, coastal landscapes provide a fitting backdrop to the oppressive feel of the tale Zvyagintsev is telling. 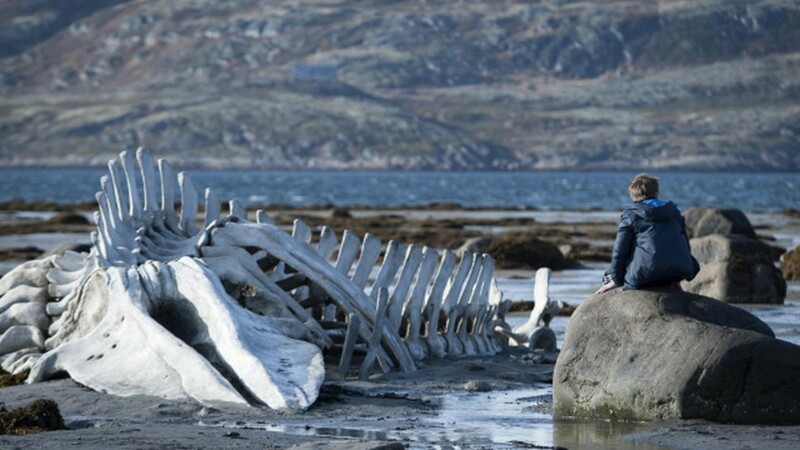 The title comes from the huge whale skeleton that lies decaying on the town's beach, taking on metaphorical meaning (there are references to the biblical story of Job) as events progress. The film's unrelenting cynicism can be numbing, but after a time it begins to look like dark comedy if you squint hard enough.